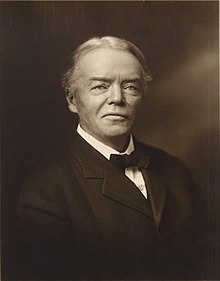 Josiah Royce (November 20, 1855 – September 14, 1916) was an American objective idealist philosopher. Error is not a mere accident of an untrained intellect, but a necessary stage or feature or moment of the expression of the truth. We are all aware, if we have ever tried it, how empty and ghostly is a life lived for a long while in absolute solitude. Free me from my fellows, let me alone to work out the salvation of my own glorious self, and surely (so I may fancy) I shall now for the first time show who I am. No, not so; on the contrary I merely show in such a case who I am not. I am no longer friend, brother, companion, co-worker, servant, citizen, father, son; I exist for nobody; and ere-long, perhaps to my surprise, generally to my horror, I discover that I am nobody. This page was last edited on 4 September 2017, at 23:52.